Every year, May 1st is celebrated as Mother Goose Day! Mother Goose Day was founded in 1987 by Gloria T. Delmar in conjunction with the publishing of her book "Mother Goose: From Nursery to Literature". What could be better than spending a beautiful Spring day celebrating great Mother Goose nursery rhymes and songs with your child or grandchild? There are so many things you can do together that inspire creativity, laughter, joy, learning and simple quiet time together. 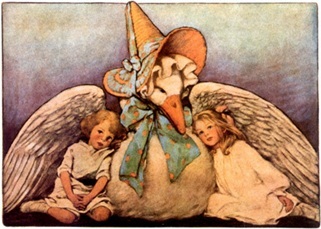 Many preschools, kindergartens and public libraries celebrate Mother Goose Day. Check with your local schools and libraries to see what programs and activities they may have for this fun celebration. Or plan your own day's celebration with your special little ones. Here's a list of great ways to celebrate Mother Goose Day. 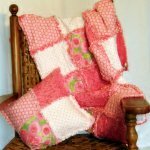 Best of all curl up together in your favorite reading spot and read aloud Mother Goose nursery rhymes from your favorite collections.